The battle of prince official began! MBC new Wednesday and Thursday drama The King 2Hearts and SBS new Wednesday and Thursday drmaa Rooftop Prince are debuting at the same on March 21st, 2012. Who will laugh to the end in next battle between princes after The Moon that Embraces the Sun? Park Yoochun vs Lee Seung Gi… the real prince for the home theater? The duel between The King 2Hearts and Rooftop Prince has sparking discussion topic on the battle between Lee Seung Gi and Park Yoo Chun. Both Park Yoochun and Lee Seung Gi have the similarity that they’re both started as a singer, and later moved on to acting. 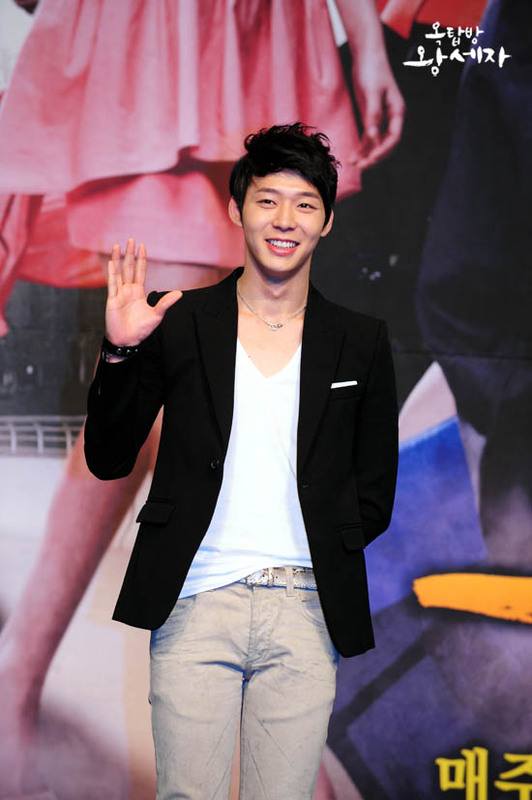 Park Yoochun who debuted in the small screen through TV series Sungkyunkwan Scandal in 2010, and won the Newcomer Award in the year-end KBS Drama Awards. The next year, he won the Newcomer Award in MBC Drama Awards through Miss Ripley. Park Yoochun who has been involved in KBS and MBC is playing the role of Joseon Dynasty prince in SBS’s Rooftop Prince, whether he is able to win the Newcomer Award for SBS Drama Awards has gathered attention. The King 2Hearts is a comeback work of Lee Seung Gi after one and a half year from his previous drama My Girlfriend is a Nine-Tailed Fox in 2010. Lee Seung Gi’s Brilliant Legacy in 2009 has achieved ratings exceeding 40%, and everybody is waiting to see if he will be able to achieve another glory through The King 2Hearts. The success of preceding drama The Moon that Embraces the Sun is particularly encouraging for the momentum of The King 2Hearts. Lee Seung Gi who can sing, host and act has raised the anticipation of audience.